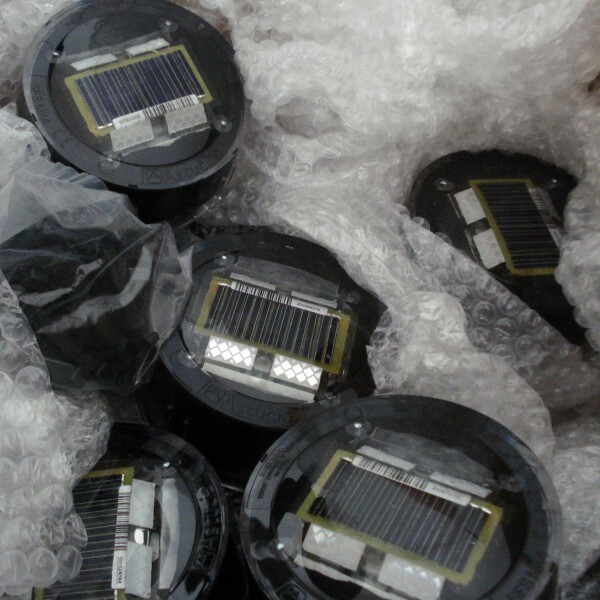 it felt a little bit like christmas today when, with a wintry chill in the air, a box full of solar-powered stud lights arrived at the studio. they’re courtesy of clearview traffic group who have generously sponsored the lights for the artwork. they look rather smart and will not only help mark the area at night but, we hope, also make it feel a more welcoming space, especially for the young people who use it to get to and from school and for the older people in the sheltered housing nearby.